A team of researchers has developed a new type of CRISPR tool that is capable of removing large sections of DNA in human cells. As with CRISPR-Cas9, the new CRISPR-tool can be programmed to remove specific sequences of DNA, although the sections that can be removed using the new tool are far larger: Sections can be removed up to 100 kilobases long. The new method has several possible applications in research for improving understanding of diseases and could potentially be used as a treatment for diseases that are caused by mutations on large sections of DNA. In order to develop the tool, the researchers needed to find a new type of CRISPR-Cas system, as such extensive DNA removal is beyond the capability of CRISPR-Cas9. The researchers found a suitable candidate called type I CRISPR-Cas 3. Type I CRISPR-Cas systems are more common than type II CRISPR-Cas systems such as CRISPR-Cas9. The researchers showed that it is possible to remove large sections of DNA in human embryonic stem cells and HAP1 cells using the new system. Using type I CRISPR-Cas 3 it is possible to introduce a wide spectrum of long-range chromosomal deletions using a single guide RNA. “Type I CRISPR systems rely on the multi-subunit ribonucleoprotein (RNP) complex Cascade to identify DNA targets and on the helicase-nuclease enzyme Cas3 to degrade DNA processively,” explained the researchers. 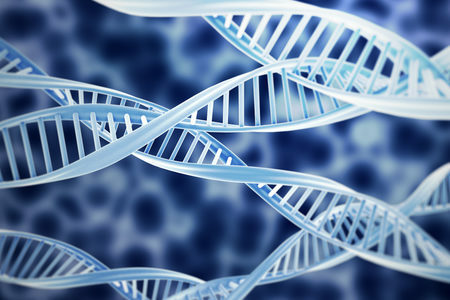 Using gRNA to identify the site where the edit needs to be made, the researchers showed it was possible to remove section of DNA from a 300 base pairs to 100 kilobases upstream of the target site. The edits were made with between 13% and 60% efficiency. The research was an international effort headed by Yan Zhang, PhD from the University of Michigan. Zhang called the CRISPR tool “a DNS shredder with a motor” because from the guided site of the edit, the system moves along the genome for a certain distance shredding DNA as it goes. The system is believed to be more accurate than CRISPR-Cas9 as the gRNA used to instruct the system where to make the cut is much longer. The targeting and degradation steps can also be better defined. Consequently, there is less potential for off-target effects than with CRISPR-Cas9. The researchers had to overcome several challenges when developing the system. A new system had to be devised to determine whether stem cells had any DNA deleted. The reporter lines used to determine whether CRISPR-Cas9 had made edits were not sensitive enough for use with the CRISPR-Cas3 system. The researchers also had to develop a new DNA sequencing method to determine exactly what DNA had been shredded. The system could prove invaluable in disease research. Researchers could remove large sections of DNA to determine whether they are important for a particular disease. The system could also be used to identify sections of DNA which are not used for coding proteins. Sections could be removed and the results could be studied to determine what the effects of removal are.